In most cases, your doctor will receive your test results in 7-10 days. However, this window may vary according to a range of factors. Be sure to discuss your questions or concerns with your doctor. CAN I KEEP A COPY OF MY TEST RESULTS? 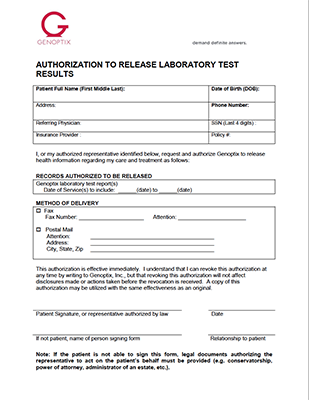 Your physician decides whether or not to release a copy of your results to you. Be sure to discuss questions or concerns with your doctor. Client Services at 800 755 1605.